This article examines how the Islamic State has framed its extraordinary losses of manpower by analyzing the role of early-Islamic traditions in the martyr biographies included in its magazines Dabiq and Rumiyah. After exploring how IS has composed these biographies, by focusing on their narrative structure and central themes, the article demonstrates that early-Islamic traditions about jihad and martyrdom form an important subtext of these articles. They contain many implicit references to stories about Muḥammad and his companions, by means of which IS attempts to define and authorize the status of its killed operatives as martyrs and therefore as potentially powerful witnesses of its cause. 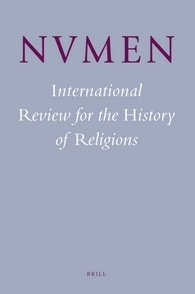 Yet, the article subsequently argues, the martyrs as portrayed in the magazines are also thoroughly modern characters reflecting contemporary processes such as globalization, individualization, and deculturation. IS thus invests classical Islamic traditions with new meanings by employing them in new contexts. Hence, the article concludes that understanding the dynamic role of Islamic scriptures in IS’s discourse is crucial if we are to grasp the composition and appeal of IS’s biographies and therefore also how IS frames its losses and motivates actions of self-sacrifice among its operatives and supporters.